December 12-14, 2018, the 25th meeting of the Executive Committee of the Economic Cooperation Organization Chamber of Commerce and Industry (ECO CCI) was held in Tashkent. 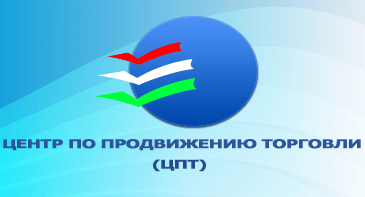 The meeting was organized by the Economic Cooperation Organization Chamber of Commerce and Industry (ECO CCI), the Chamber of Commerce and Industry of the Republic of Uzbekistan and the Union of Chambers of Commerce and Commodity Exchanges of Turkey (TOBB). Reference: ECO is a regional international economic organization which includes 10 states (Iran, Pakistan, Turkey, Kazakhstan, Azerbaijan, Afghanistan, Kyrgyzstan, Tajikistan, Turkmenistan and Uzbekistan). The ECO CCI is engaged in the development of trade and economic cooperation among the ECO member states, as well as regional cooperation in the field of trade, industry, and business support. The first meeting of the ECO CCI committees was held in Uzbekistan, the Presidency of the ECO CCI was held in different years by Afghanistan (1990-2007), Turkey (2007-2010 and 2018-2021), Iran (2011-2014) and Pakistan (2014-2018). The heads of the Federation of Pakistan Chambers of Commerce & Industry (FPCCI), the Union of Chambers of Commerce and Commodity Exchanges of Turkey (TOBB), the National Chamber of Entrepreneurs of Kazakhstan, the National Confederation of Entrepreneurs (Employers’) Organisations of Azerbaijan Republic (ASK), the Iran Chamber of Commerce, Industries, Mines and Agriculture (ICCIMA), Afghanistan Chamber of Commerce and Industries, the Chamber of Commerce and Industry of the Kyrgyz Republic, the Chamber of Commerce and Industry of the Republic of Tajikistan, Chamber of Commerce and Industry of Turkmenistan, business community and representatives of the diplomatic missions of the ECO member states accredited in Uzbekistan. 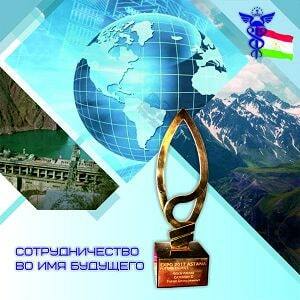 At the meeting of the Chamber of Commerce and Industry of the Republic of Tajikistan was presented by the Deputy Chairman – Sangov Odil and representatives of the business community of Tajikistan. Before the meeting of the Executive Committee, there were the meetings of the Turkish Business Women’s Association and ECO CCI committees on tourism, transport, arbitration, industry, investment and development of small and private businesses, and trade facilitation. Activity of the Chambers of Commerce and Industry of the ECO member states with a description of their role in the development of business were also presented. As the results of the meetings, agreements were reached on holding a “Fair and Seminar of Women’s Entrepreneurship” in Turkey in 2019, activation the web portal of the Business Women’s Association, and organizing the participation of women entrepreneurs in ECO member states in the International Crafts Festival, which will be held in September 2019 in the city of Kokand. Tourism was marked as one of the priority areas of cooperation. The parties reached an agreement on the development of a “Road Map” on the development of tourism among the ECO member states in 2019. The meeting also discussed the organization of the ECO CCI Arbitration Center to support resolving cross-border disputes in the region. In order to help strengthen investment cooperation between countries, it was proposed to hold the 2nd ECO Investment Promotion Forum with the participation of private sector investors in 2019, and the establishment of a Technical Committee at the ECO CCI to discuss potential joint investment projects. 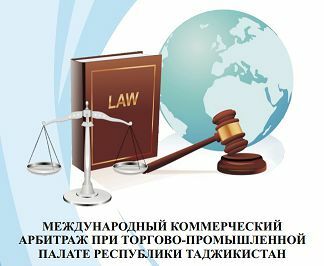 At the initiative of the Chamber of Commerce and Industry of Tajikistan, the participants in the 25th meeting of the Executive Committee of the Economic Cooperation Organization Chamber of Commerce and Industry have discussed the possibility of providing exhibition space with preferential prices to Tajik companies, as well as the possibility of creating additional preferences.